Unboxing the two we have very similar inclusions. A manual, a USB to micro USB cable for charging, the one included with the MX Master is longer for some reason and a unifying receiver. Let's look at the physical attributes of the two starting with the Anywhere2. At the top we have the usual left and right click buttons, and a scroller which we will talk about soon and a middle button behind it. On the side we have this geometric pattern that gives the mouse a unique look. There are two arrow buttons as well on the side. At the bottom we have a on and off switch a connect button the sensors and a device selector, more about that in a moment. With the MX Master the top buttons are very similar to that of Anywhere2, the scroller looks similar but has some difference. On the side the geometric pattern appears more pronounced. There are two arrow buttons next to a second scroller. At the thumb rest there is a button as well which the anyware does not have. At the bottom the items are exactly same as that of Anywhere2. Ok time to talk about differences. The MX Master feels more full under the palm, or fills the whole hand due to its larger size. The geometric pattern, I have found not to be very touch friendly after a while. Its looks great but the novelty wears off, and what we are left with is a pattern that does not conform to shape of our finger. I'm not aware of it always, but I'd rather not be reminded of any shape related issue ever. In the Anywhere2 this issue is not as pronounced since it does not have a thumb rest. 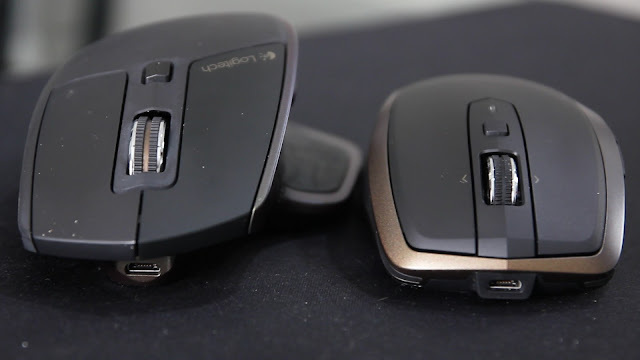 The surface of the two mouse is different too. The top surface of Anywhere2 is plain black plastic while MX Master has a matte rubber coating. I have to say, this goes to the MX master, as it feels better. The material on the sides are same on both. Now the all important scroll wheel. First of all the MX Master has a bigger wheel which feels better to use. A difference you will only know if you ever use them side by side. Any other day no one can tell. Hyper Scrolling - this is a feature where the scroller is set to spin freely. Both the mouse can switch between the traditional step by step scrolling to Hyper Scrolling, but how we switch between the two is different. In case of Anywhere2 it is simple, we press the scroller down and it switches between Hyper Scrolling and traditional. This is absolutely a miss. 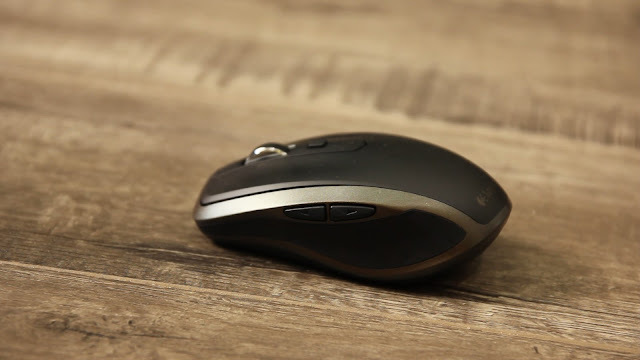 For decades we have been accustomed to doing middle click by pressing the scroller which is somewhat like a middle click, now this mouse asks us to change habit. There is a button behind the scroller which we can set to middle click, but it's clearly a compromise. One way it does make up some ground is by being able to tilt left and right. How I usually use that is tilt left to copy and tilt right to paste. This is so simple and useful. How many times a day we copy and paste. Unfortunately the MX MAster can not do this. The MX Master has a slightly different approach. It has two ways of switching Hyper Scrolling on and off. first there is a built in mechanism that switches to Hyper Scrolling if you scroll too fast. Like on a big document, and when the free scrolling wheel slows down it catches and switches back to normal scrolling. The other method is to assign the button just behind the scroller to switch between the two modes. Personally I never switch between the two modes, rather its Hyper Scrolling all the time. Reason behind that is that once used to it, there is no reason to switch back to the old resistive scrolling mode. The side of the two mouse. The Anyware 2 in its simplicity presents two arrow keys. This can be set to volume up down or forward and backward. With MX Master we have the similar arrow keys but it's too squished together to make room for the scroller. The buttons are also not too readily distinguishable by feeling them if you are not thinking about it. The second scroller. Its use is highly subjective. sideways scrolling is not something that we all do very often. And the second thing is that it did not seem to work with all applications. The thumb button, this is a simple button that can be given any task. There is a rather large list of predefined commands to choose from, which can be applied to various buttons of the mouse including this thumb button. At the bottom of the mouse, things are as they appear, on of switch, connect, the sensor and the device selector. This is the interesting bit. You can pair the mouse to three different devices. This can be done with the Logitech's provided receiver or via Bluetooth. Real life application again appears slim, as for one computer we use one mouse and it tends to stay that way. On the topic of the sensor, first of all I have used the mouse on a Corsair MM200 mouse pad, which for both the mouse works a treat. Next on glass, and both the mouse worked just fine. As it happens I have both black and clear glass table, and it appears to make no difference. On a wooden floor that is textured, no problems there. Next on stone benchtop at the kitchen, either of them seems to work just fine. Next surface of test was leather, which worked for both just as well. On glossy varnished wood, no problems either. On the sky, aaa no. The Software interface - As you may have already seen in the video, the software interface from Logitech has a simple clean layout. The functions you would like to assign on any of the given buttons can be done with relative ease. Simply click on the highlighted point and select function. You can also assign keyboard shortcuts. The Horizontal scroller can be assigned different functions as well. On the point and scroll tab there are some basic settings and sensitivity sliders. Some minor points. 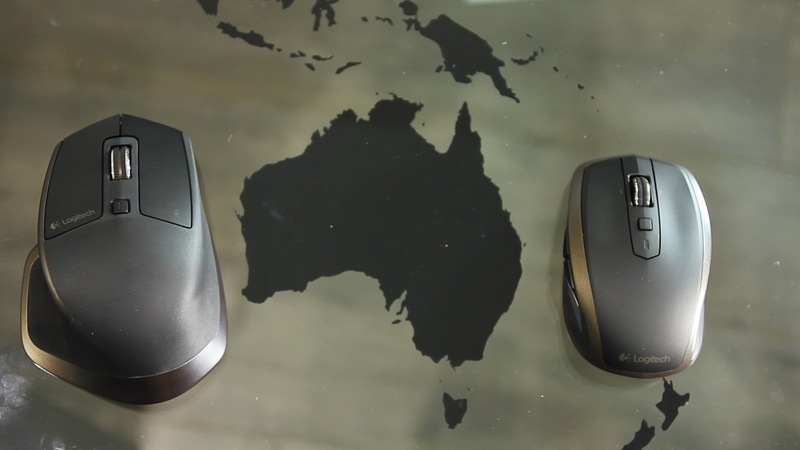 The Anywhere 2 for my hand it feels a bit small, but if you are after a smaller mouse that may be the way to go. IF you don't need the Bluetooth connectivity, you can grab the Anywhere first generation for about $60. Its practically identical otherwise. MX Master while providing a good feel, if you are used to often lifting the mouse, it required a bit of effort to do so. Battery life so far has been ok, but this is where I need to mention another mouse from Logitech. The M705. It's still available for about 60 dollars. On a pair of double A batteries, this mouse with heavy use lasts me over a year and a half. 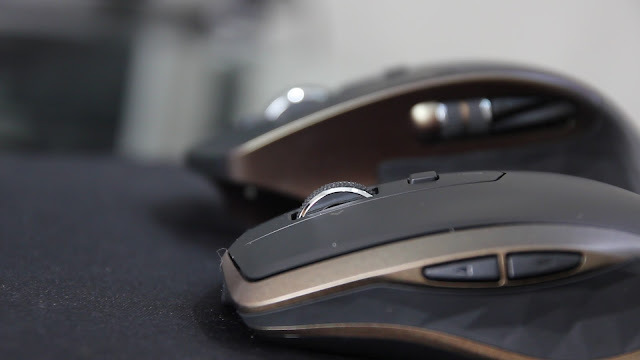 Next thing is that it had Hyper Scrolling and more buttons than either of the MX mice we are looking at and the M705 overall has better button layout. 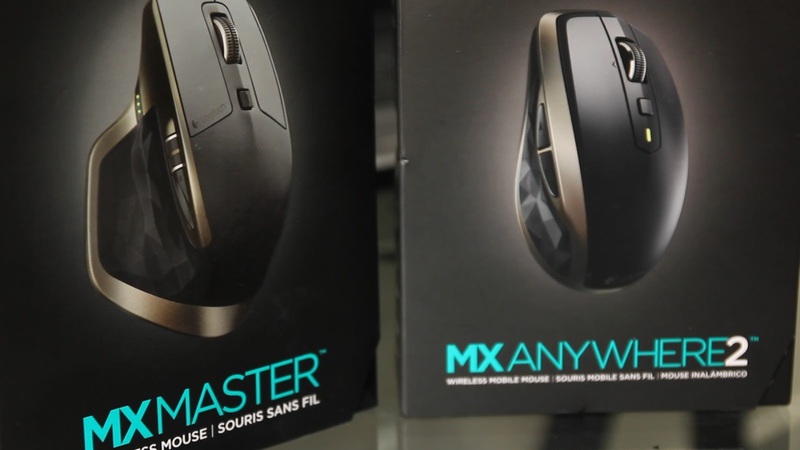 Now the MX mouse, both of them has superior sensor and works over Bluetooth. 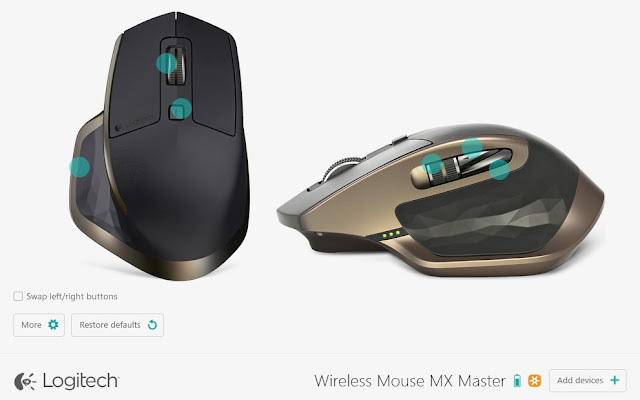 Does this really justify Logitech to jack up the price by over 100%. Why I had to bring in the M705 was that it is a very old model. They could do so well back then, you would think that a company would move forward in design. But there is little innovation here, insisting something is advanced does not make it so automatically. Let me not end this on all doom gloom. 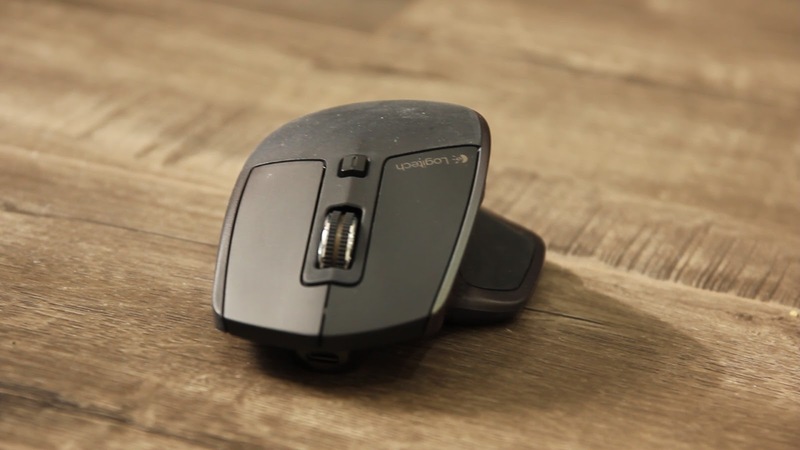 Having used many Logitech mouse over the years I know they will last till you get old. It's a well known brand and is available in shops locally which is great for local warranty. To decide which mouse to get is one thing, however once a Logitech mouse, or keyboard for that matter makes its way to the desk. It serves faithfully without missing a beat. Originally Video published on 13th October 2015.